Collaboration by biologists worldwide assembles webpages on diversity of organisms on earth, their evolutionary history, phylogenetic relationships, characteristics. Each group described with introduction, photos, map, key references, important links. 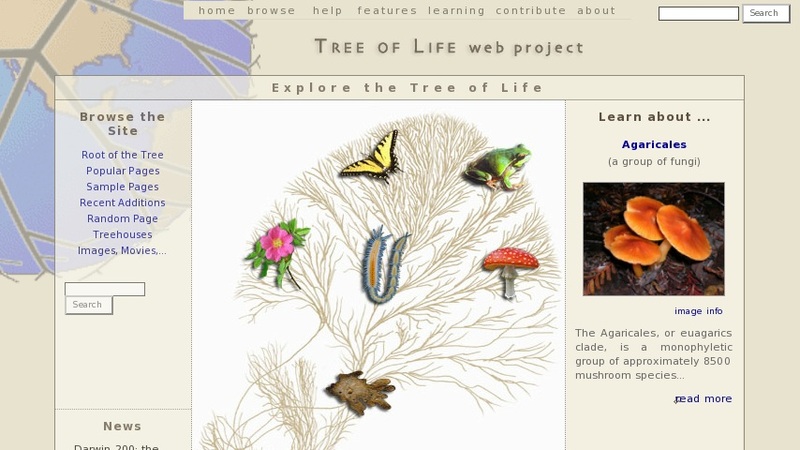 Start at Kingdom level and move down to individual species by clicking on branches of the Tree diagram. Designed for biologists familiar with Latin names, but useful for others. Treehouse pages, designed for K-16 learners and teachers, complement technical pages presented elsewhere on the site.